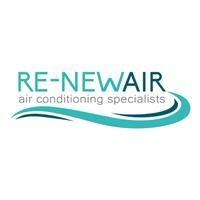 Re-New Air - Air Conditioning, Plumber based in Horley, Surrey. We are a small business who try to look after all our customers whether it’s small domestic or a big commercial jobs. We usually have a smaller amount of customers as they come back to us over and over again as we offer great service, maintenance and installation across all makes and models of air conditioning. Quotes and information is free so please feel free to contact even if it’s just for a bit of information or advice over the phone.